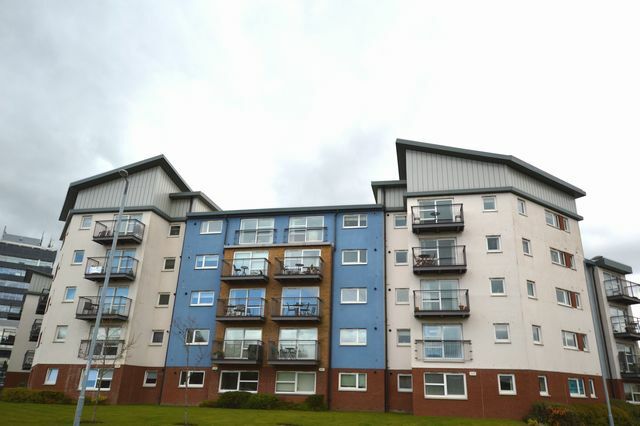 Well presented modern flat with balcony in popular development in Stepps. We are delighted to offer this recently professionally decorated throughout unfurnished property comprising entrance hall, storage, two double bedrooms, spacious and bright open plan living room / kitchen with dining area leading to balcony. Secure entry. Private parking. GCH. Lift facility. Scapa Way is within a residential development which offers easy access to motorway trunk roads, and with many local amenities close by including a members gym minutes walk away.